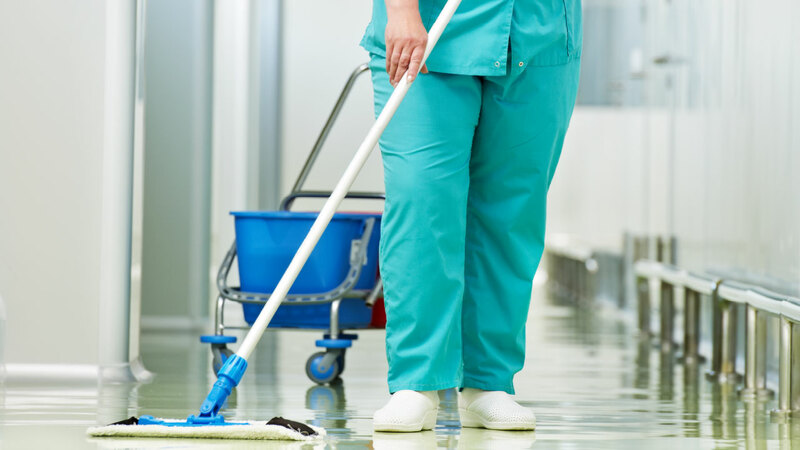 Our comprehensive Health Care Facility Cleaning Services will keep the hygiene standards at a high level and will keep your hospital compliant with Infection Control Guidelines. At Rosca, we understand the requirements of healthcare cleaning and medical facilities cleaning and work hard to meet those needs.Our accredited team have extensive training for preventing and controlling outbreaks of all diseases and viruses that can occur within the walls of a hospital. In addition, we ensure minimal disruption to hospital productivity, while adhering to health and safety regulations. ROSCA recommend a regular deep clean to all facilities and surfaces. However for optimal results and to eliminate the risk of infection, it should be dealt with by professionals. Rosca will thoroughly clean all surfaces including walls, trunking, skirting boards, fixtures and high level areas. We have the knowledge, expertise and equipment to tailor to every hospital cleaning situation. Our team is available 24 hours a day to deal with your requirements quickly and cost-effectively. Our comprehensive cleaning service will keep the hygiene standards at a high level and will keep your hospital compliant with Infection Control Guidelines. Add us to your emergency contact list or call now on 0800 799 9149 to discuss contractual hospital deep cleaning requirements.